Whisper was built in 1957 by the Thomas Knutson Shipbuilding Corp. in Halesite, Long Island, New York. She was designed by Sparkman and Stevens as part of their “Pilot” series of production boats. Whisper has sailed in Maryland, Florida, and Puget Sound. 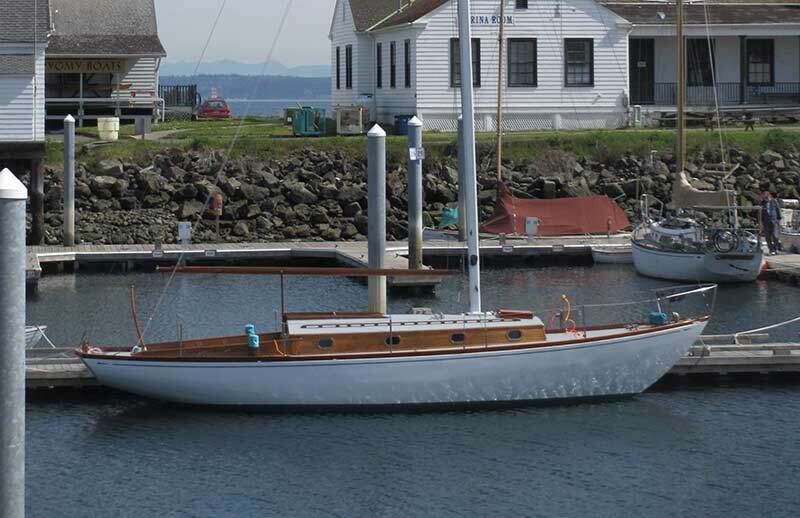 A simple engine replacement in late 2012 resulted in a 3 year major rebuild in Port Townsend. The hull was refastened, mast rebuild, new sails made, stem rebuilt, and all major systems upgraded. While life was being restored to Whisper, many friends were made as we worked together during the restoration.